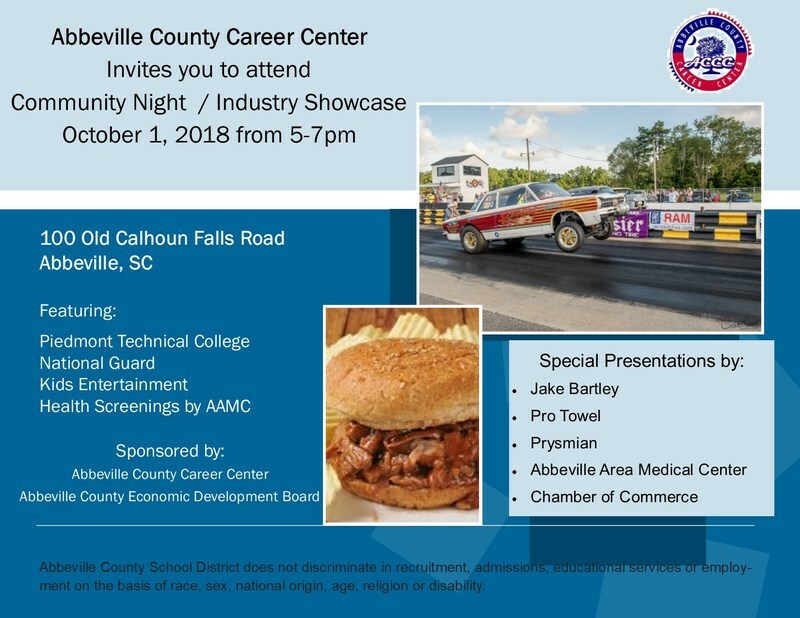 Each year, the Career Center hosts Community Night. Community night offers CATE students who attend the Career Center post secondary career exposure, jobs and educational experiences that are needed to develop career goals. This fun-filled event provides career to work, technical, and post secondary informational booths, food, live entertainment, kids activities, and more. It helps the communities of Abbeville and beyond see what the Career Center has to offer, while having a lot of fun at the same time.